Bulldog at its great location offers a great variety of drinks. A proof of this is the engagement of Vanja Kangler, a top cocktail master who created a respectable 60-cocktail card. If you want to eat top quality food combined with an impeccable look, Bulldog staff will make it possible for you, not only because of home-made cookies that will be served along the best coffee in the city. We are talking about an interesting culinary offer that you will remember for a long time and therefore you will want to taste more, the same reason why you will want to get to know the chef, while the waiters will present the dishes offered by this restaurant in the center of Zagreb. The Bulldog Restaurant, besides the winter variant, inside of Bulldog, during the summer months, will surprise you with its terrace spreading in Petrić Street. As Bulldog attracts both local and foreign guests, this restaurant in the heart of the city offers Croatian twist specialties, as seen by Bulldog's team. Everyone knows traditional turkey with “mlinci” from Zagorje, but you should try it in Bulldog's version because you have never tried it in that way. The "soparnik"from the Dalmatian region Poljica is a delicacy protected by the European Union, but this time it's sen differently, in the wonton, and unimaginably tasty. Such and similar dishes, based on the Croatian tradition, but refined with modern methods and solutions, Bulldog Restaurant offers on a daily basis. For the locals, but not just to them, it's enough to say "See you in the Bulldog". Ther is no need to say its street address, because that is well known to everyone. You don't need to say the number 6 either. Bulldog has become a symbol of Zagreb for more than 20 years. Since 1995, this cult place, in the center of the town, is visited by all, no matter how old they are and the social status. Times have changed, guests have changed, but popularity has always been and remains unquestionable. That is how the brand has been created in Zagreb, which is one of the rare ones that has been held for so long without significant changes. In the summer and winter Bulldog is a place to meet, a place to socialize, a place to drink coffee, a place where you will meet your friends, a place where you will feel comfortable. But the Bulldog is not just a bar, it's a club and a restaurant. As a bar, the Bulldog is more than 20 years the place of “ zagrebacka spica”, especially on Saturdays, but also for evening outgoings as well as night entertainment. On a large terrace on Bogovićeva Street with 40 tables, sunny in the summer and heated during the winter, it seems like the guests never leave, and the same situation is inside of the Bulldog. This reputation Bulldog has earned with its top service, a variety of quality drinks, a pleasant ambiance, and it is no surprise that all guests will come to this bar with a smile on their face. Of course, it is also because of an inevitable location, Bulldog is just a few steps from the center of Zagreb or from Ban Jelacic Square. That is why it is not surprising that, together with the locals, numerous foreign tourists, over the years, discovered and recognized Bulldog as a place created for everyday entertainment. How would it not be, if the Bulldog is visited by the locals, then it is logical that the tourists will do the same. Every guest feels special and, most importantly, satisfied in the bar, restaurant or club that is a mix of a modern and traditional look, offer and services. 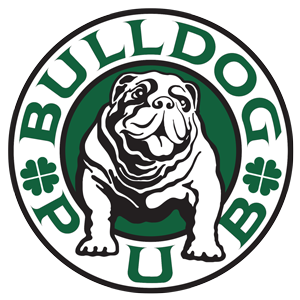 In addition to cafe bar and bistro, Bulldog is also a club. A place that can accommodate up to 130 people is created for private parties, birthday celebrations, or promotions of any kind. The place is fully equipped, so if you are organizing a party where a music performer or an entire band will perform, Bulldog Club will find all the equipment needed to organize such an event. In Bulldog club hold concerts by singers like Massimo Savić, Žanamari Lalić and Jelena Radan, and the popular cover bands Positivo and Živa legend. This says enough about the movements and interest of Bulldog as a club. And the fact that pop-rock, blues and jazz music is preferred, says that Bulldog respects the true values. Since the culinary scene is constantly changing, the trends of consumption of drinks change, musical tastes change, all those who care about Bulldog, from waiters and chefs to their owners, are constantly making sure to give you by their professional approach un unforgettable experience while staying at the Bulldog. Success stories prove that Bulldog follows the trends while respecting the time that has remained behind us.